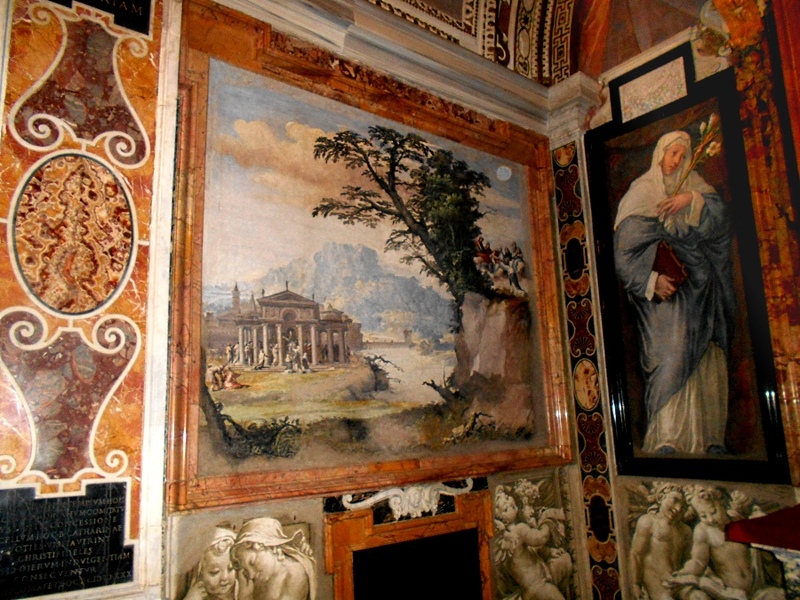 with their private chapel sumptuously decorated with marbles and works of art. 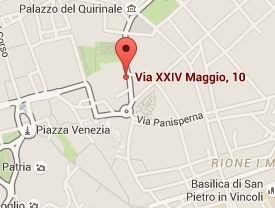 At all appearances, the lofty gate facing Via XXIV Maggio gives access to the superb palace of some distinguished Roman family. You are invited to a ceremony, so you climb the two flights of imposing stairs concluded by an arched passageway. In ascending the steps, you can smell the aromatic flavour of incense. 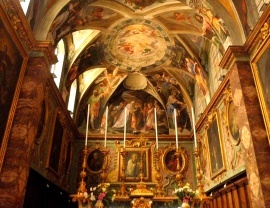 Then you enter the church, and the richness bedazzles your eyes. 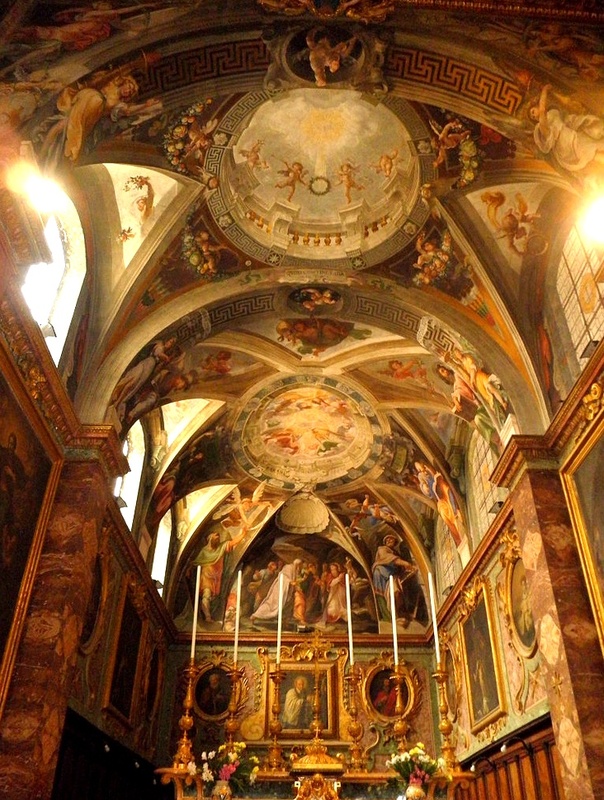 This is a church fully open to public attendance, yet you may fancy to be the guest of a lordly host. Before you the splendour of the marbles and frescoed decorations is overwhelming. 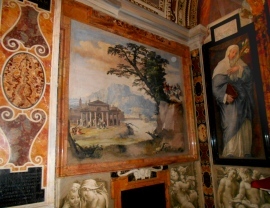 To the left, the magnificent Cappella Bandini houses painted works by Domenichino and a moving replica of Michelangelo Buonarroti's "Pietà". 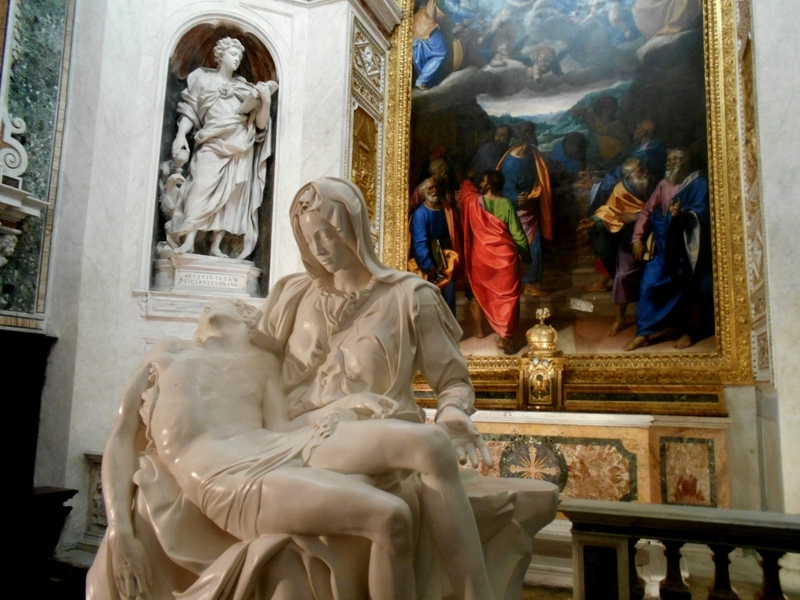 In 1536 the great sculptor was actually in this church, as his close and passionate friend Marchioness Vittoria Colonna had established her abode in the adjoining convent. A human and artistic bond that is being celebrated today by the presence of the divine masterwork. When time shall conquer that immortal grace? 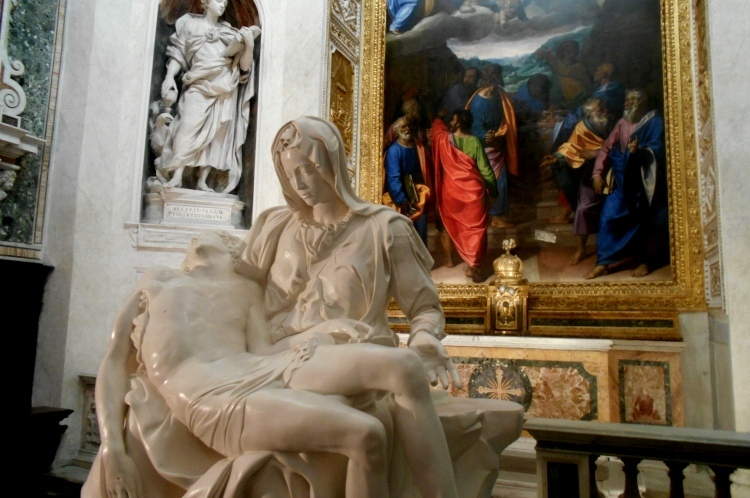 This is a unique occasion to behold the perfect pureness of Michelangelo's 'Pietà' from so up close. Don't miss the chance!